Born in San Diego, California but raised in Tijuana, Baja California. Growing up in the border region and being an english language learner lead me to experience first hand the challenges that low-income, first generation students experience navigating the educational system. I earned my Bachelor's degree in Psychology at San Diego State University and my Master’s degree in School Counseling from University of San Diego. My undergraduate and graduate studies gave me the opportunity to study abroad multiple times in different capacities. Growing up in the Tijuana-San Diego border region along with my studying abroad experiences has made me more globally conscious. My international experiences have inspired me to one day provide the opportunity for low-income, first generation college-bound students with service-learning projects abroad. I’m dedicated to improving the lives of students and helping them become ethical, compassionate, and culturally sensitive leaders because they are the future of our nation. My action research addressed parent involvement at an urban school in Southern California. Collaborating with a school counselor at the site, five ELL parent workshops were hosted, which addressed resources to help ELL students be successful in school and beyond. After two cycles of action research, parent participation tripled. Other significant findings include: the importance of flexible strategies to connect with parents and offering school events relevant to parents’ needs and interests; the more personalized the outreach to parents, through phone calls and other personal interactions, the higher the attendance and the more parents expressing feeling connected to the school. My action research addressed parent involvement in an urban charter school. I developed the project in a relatively small, Title I alternative charter high school in urban San Diego. The student population was predominantly of low socioeconomic status backgrounds, with 96.1% Hispanic or Latino and 42.9% English Language Learners. The vast majority of students used public transportation to get to school and it took them on average 45 minutes. I was at the school site as an intern in school counseling, and the project was a capstone experience for my master’s degree in a counseling program. The study took place during 2012-2013 academic year. The purpose of this action research project was to strengthen my practice as a pre-service school counselor through designing, implementing, and assessing an intervention for parent involvement of ELL students at an urban charter school in Southern California. I collaborated with a school counselor at the site in designing and hosting five ELL parent workshops. 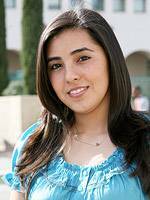 The workshops addressed resources to help ELL students be successful in school and beyond. The study involved two cycles, in which three and two workshops were conducted, respectively. Qualitative data included field notes, parent feedback, counselor feedback and personal observations. Quantitative data included phone call records and workshop attendance records. A needs assessment of parent involvement, including status of outreach efforts, parent participation in school events, and patterns of communication between families and the school. Planning for workshop location being moved from the school’s downtown campus to a location closer to the parents’ community. Preparing workshop materials in the parents’ native language, Spanish. Planning incentives for parent attendance, including a gift drawing. Automated phone calls to all parents before each workshop. Workshops advertised as school wide events on both campuses. Student incentives offered for those who attended a workshop with their parents. Workshop information and materials prepared in Spanish. Automated phone calls were made to all parents before each workshop. Additionally, personalized phone calls were doubled in number to increase individualized outreach efforts. Data analysis occurred in between cycle 1 and cycle 2 and at the end of the second cycle. Categories/themes were elicited based on field notes and memos and the development of an evolving project narrative, utilizing an informal process of “Data Analysis Spiral” (Creswell, 1998, p. 143). Findings include: (a) the importance of flexible strategies to connect with parents and to offer school events relevant to parents’ needs and interests; (b) parent workshop attendance tripled in cycle two; (c) the more personalized the outreach to parents, through phone calls and other personal interactions, the higher the attendance, and (d) the more parents expressed feeling connected to the school. As the primary action researcher, I grew to better understand how things outside of parental control often prevent them from attending school events, for example, motivating parents to school involvement through one-on-one interactions. Personalized and informal conversations served as bridges to connecting parents with school. I also experienced an increased awareness among the school’s staff regarding the importance of flexible strategies to connect with parents and to offer school events relevant to parents’ needs and interests. There are things to be learned from this project that other educators may find useful. First of all, the project reinforced the absolute priority of personalized outreach to parents when working with ELL students. Although such work is time consuming, establishing rapport with parents is crucial to building parent engagement. Also, it may seem obvious, but in working with ELL students you also are working with ELL parents and it is essential to show sensitivity to language challenges. In my project, talking with parents in Spanish and preparing workshop materials in Spanish was appreciated and was seen as a sign of care and respect. Also, it is important to remember that if parents don’t show up for events it does note mean they do not care. Practitioners need to keep in mind that for some parents building a trusting relationship with them can take time. Most parents wanted to support their children’s success in school, but it was important to keep in mind that some of the parents did not graduate high school or attended school in a different country and were not familiar with the U.S Educational system. Overall, the project had two main implications for the site. 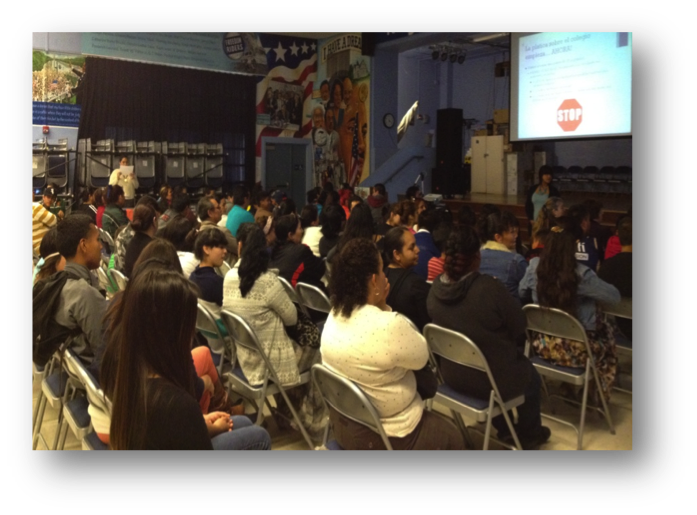 First, by the project end the school committed to continuing monthly parent workshops. Second, there was general agreement among staff that efforts to increase parent involvement require personalized and collaborative efforts.I now have a clearer idea of what it takes to enhance ELL parent involvement. I improved my communication and collaboration skills, and as parents began to open up and share their life experiences with me I could feel my awareness growing. I also realized that parent engagement is much less about the numbers than about building rapport. In this project, parents valued the personalized outreach they received because no other school had done that for them. It was empowering to me as a practitioner to realize that in addition to everything parents do to be as involved as possible in their child’s education, there is room for a caring practitioner to make a difference. Robson, C. (2002). Real world research. (2nd Ed.). London: Blackwell.